Join the forum, and choose a username. Introduce yourself over in the chat room. Just tell us a little about yourself, so we can get to know you. Choose an avatar; fill out your profile; and create a signature file. These features are all optional, but they're a great way to show your personality, and they make it easier for other members to spot your posts. To get everything set up, just click on your username in the upper right hand corner to access your user control panel. Review the forum rules, so you know what is and isn't allowed. Find topics on the forum that interest you, and join in the conversation. We're a friendly bunch, and newcomers are always welcome. It'sa great forum, Nice to be here communicating with guys around! Welcome to the forum Ash. Hope to see many more posts from you. A lovely forum. Hope I can settle-in and make myself at home. 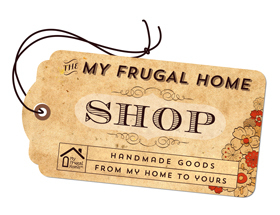 I'm an old-fashioned, frugal, stay-at-home mom of 4, fulltime homemaker, and love all things antique and vintage. My passion is frugality and simplicity! Welcome to the forum! I am a busy retiree with two grown kids. I enjoy coming her to see what everyone is up to. Heloise wrote: A lovely forum. Hope I can settle-in and make myself at home. Welcome to the forum Heloise. We love it when new people decide to join us. Sharing tips, and frugal practices makes for wonderful on line friendships. Join in the Daily Check In and let us get to really know you.